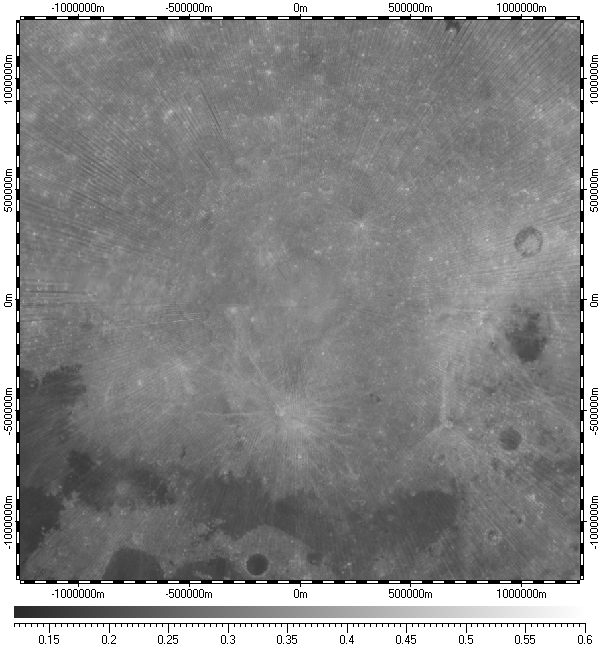 The datum of Albedo of North Pole of Moon, included in the archive, derived from albedo raster data of Lunar Orbiter Laser Altimeter (LOLA) experiment, version 1.0, which was part of Lunar Reconnaissance Orbiter (LRO) mission, and distributed by Planetary Data System (PDS) of NASA. The datum has resolution 1000m. The data uses Polar Stereographic Projection with true scale latitude of 90°. MoonANorthPole.zip - Size: 8,603,211 bytes (8.20 MB); MD5: 2E035B0255B9D3B0FED3C3CB049BC2F8.